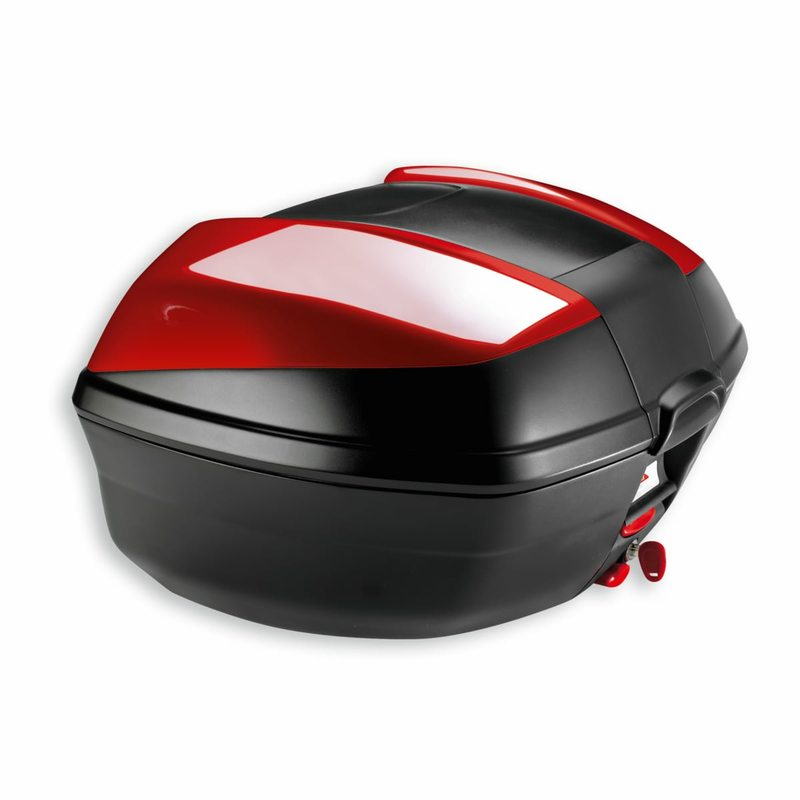 Top-case with painted cover and quick-release system integrated in the vehicle. 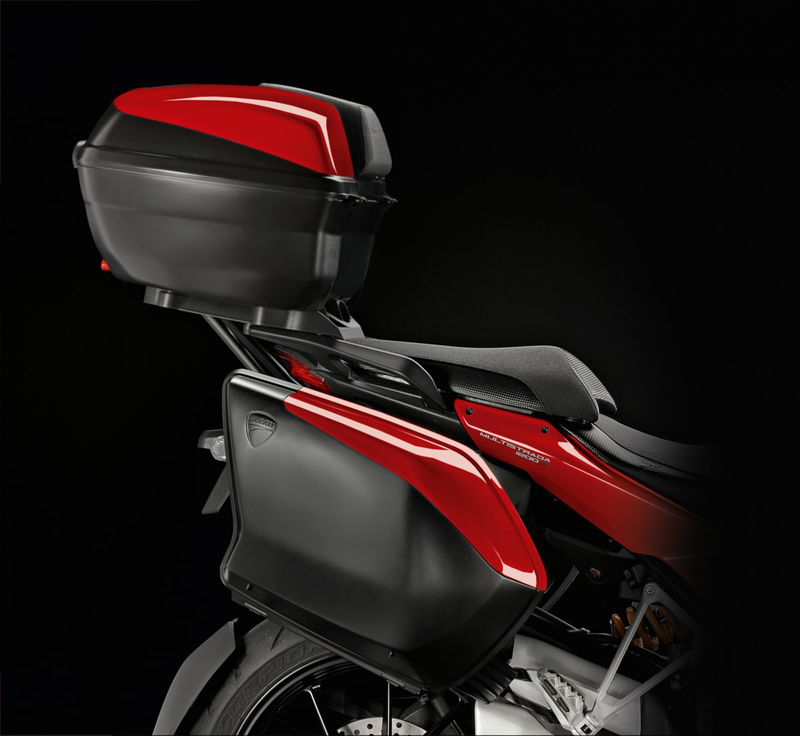 48-litre capacity makes for enough room to store two full-face helmets. Equipped with passenger back rest.